First, you need to get yourself some blank coasters. 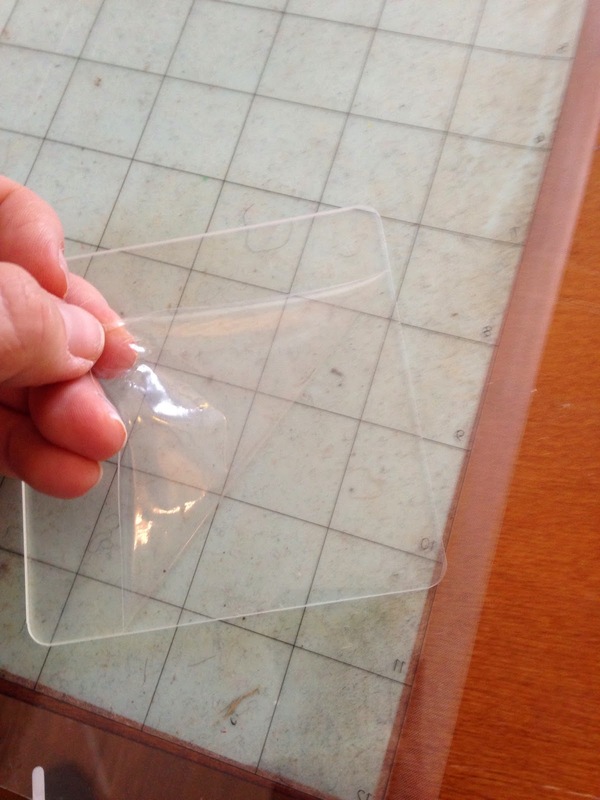 I got these clear 3.5" square inch acrylic coasters from Punch Place Plus. They come in a pack of four with the 16 rubber bumpers for...wait for it: $4.49. You can find them by clicking the "Acrylic, Plastic, Glass, Metal Blanks section on the left sidebar of PPP or by searching "Acrylic Coasters" in the search bar here. In Silhouette Studio you can create whatever type of design you want. I have a thing for monograms and gold right now so I went in that direction. I simply typed out a capital V and then copy and pasted it four times. I then selected each V individually and changed the font until I found four V's I liked. When you're ready, cut out the design. I cut on glitter gold vinyl...it's my all time favorite adhesive vinyl and I use it whenever I can! While it's cutting, remove the protective sheets from each side of the coaster. Weed and then you're ready to transfer the designs onto the coasters. 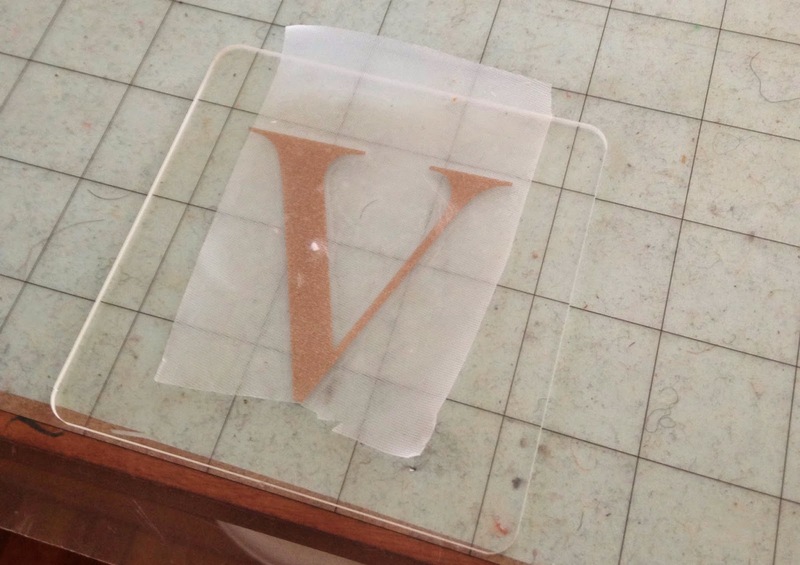 You can use the hinge method to apply the vinyl designs if you'd like or you can use this little cheat..I won't guarantee your design will exactly centered like it would be with the hinge method, but it will be pretty darn close. Grab your Silhouette cutting mat and put the blue cover sheet on it. Now flip it over so you can see the grid lines (and all the dirt). Place the coaster on the back of the mat lining it up with grid lines. The placement of the grid lines should give you a good idea where the center is! 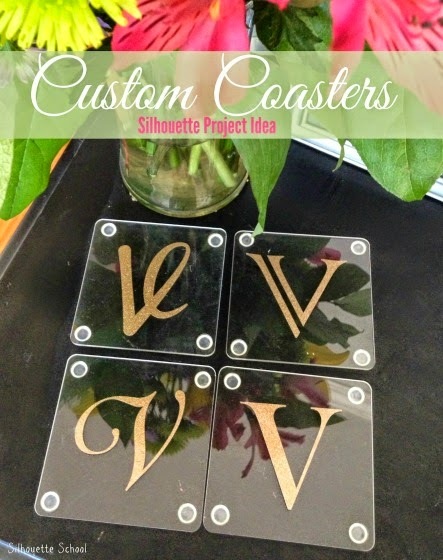 Use clear transfer tape or transfer paper to put the design onto the coaster. Peel back the transfer material and you're done! Repeat with the remaining coasters. Add four rubber feet to the bottom and wam bam thank you ma'am you're all done! Are you reversing the V for the cut and then putting it on the bottom so it's not getting exposed to the condensation? You have to reverse the letter don't you? 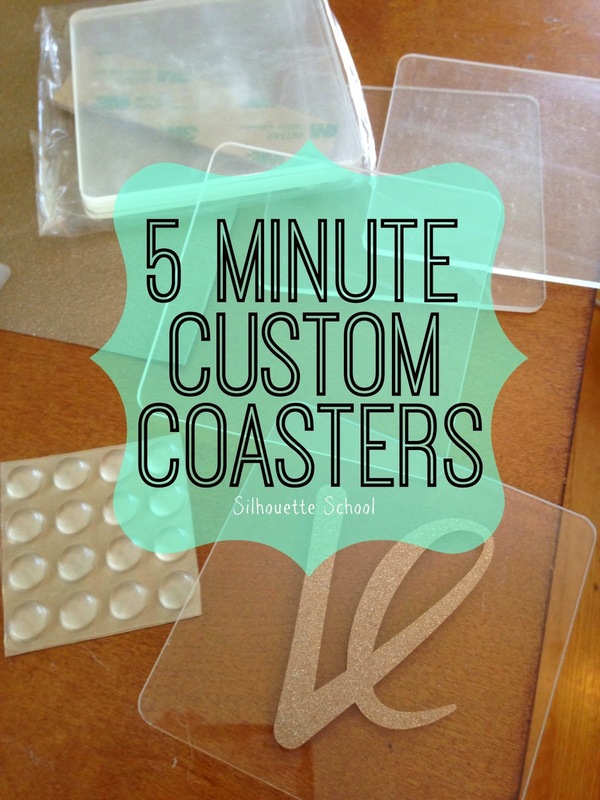 I have a cricut and I don't have to turn them but maybe with Silloutte(sp) you have to? I love this idea I want to get some to go with my Christmas theme, but not sure I want to do gold deer, or white Christmas trees////Decisions. love the idea. Just went to get them and they are sold out, darn. What font is the V that has the curl to the back of it?